It all started with a vision to change the way we consume. . .
We care passionately about our planet, that's why our products are packaged in biodegradable plant cellulose wrappers and our labels are made from recyclable paper. To further minimize our impact on the environment, our bars are sold individually to avoid creating unnecessary waste from additional packaging. 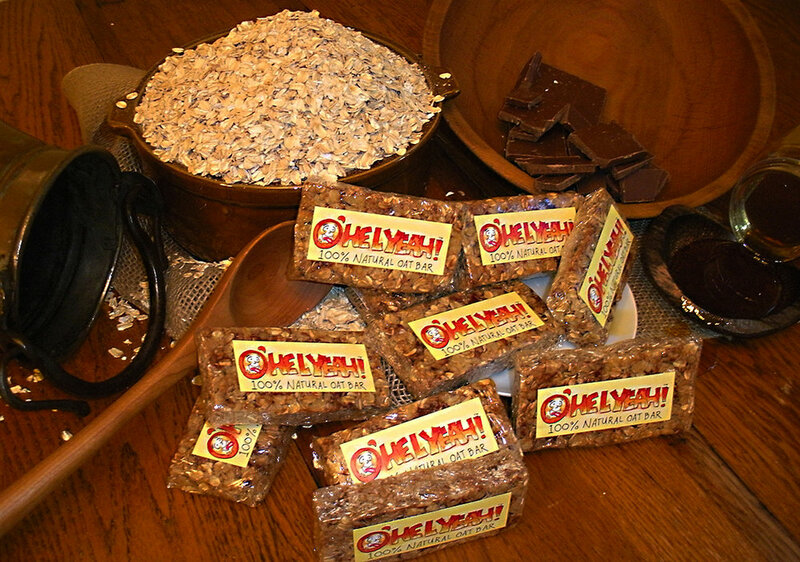 We offer several vegan options in addition to our traditional oat bars and only use 100% natural ingredients in our products. We absolutely do not use any preservatives, GMO's, or synthetics. Our bars are naturally long lasting, but are intended to be consumed within a reasonable amount of time. Our bars are made fresh per order! Welcome to the slow food movement. Eat healthy and be happy!